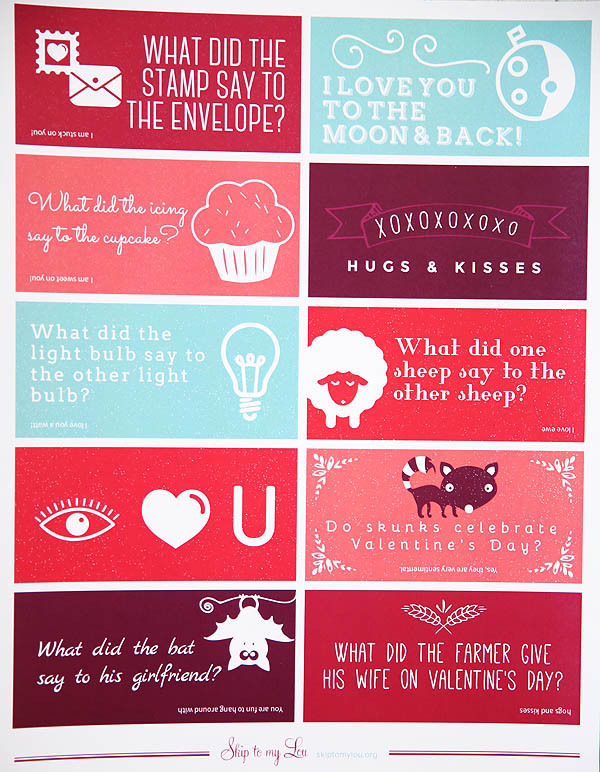 Home » Print » Over 30 FUNNIEST Valentines Day Jokes! Over 30 FUNNIEST Valentines Day Jokes! Share a smile with these Valentine Jokes. Over 30 funny Valentine’s Day jokes to bring laughter. The best part is there is a printable page of jokes to slip inside your child’s lunch. 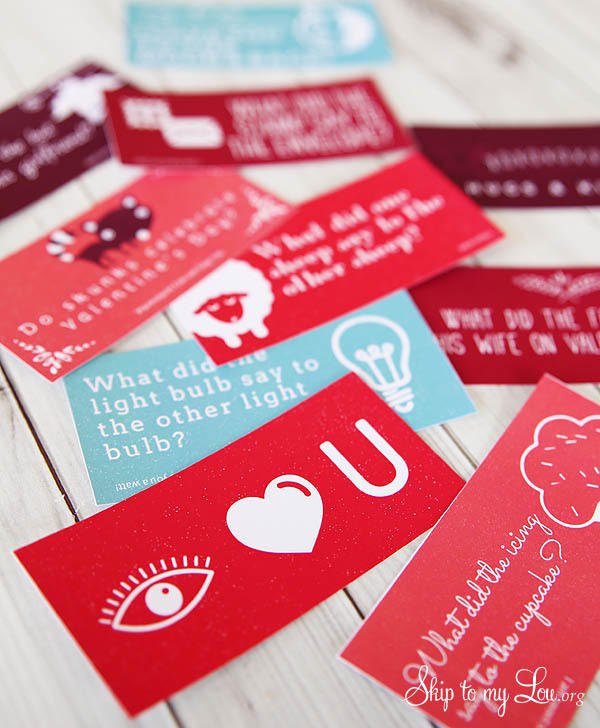 Keep kids laughing with this fun Valentine games! I love putting little notes in my daughter’s lunch or in a pocket for her to find. I keep a stack in my kitchen drawer ready to go when I pack her lunch. 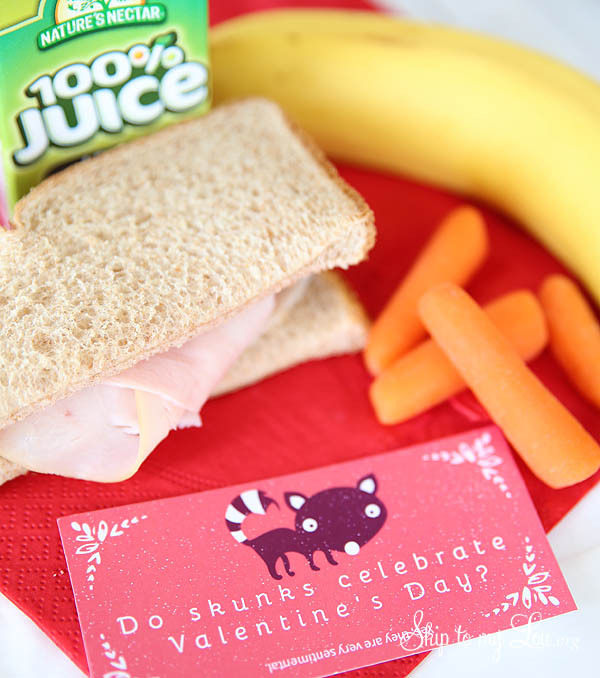 You might also like these super cute Valentine lunch box jokes. You will be able to keep your child giggling all month long. Download the valentine day jokes for kids. Print in color on white cardstock. Cut the little notes apart and you are ready to brighten your child’s day with a silly little joke. Share these jokes with kids during carpool, waiting in lines, at dinner or write them in a Valentine card. 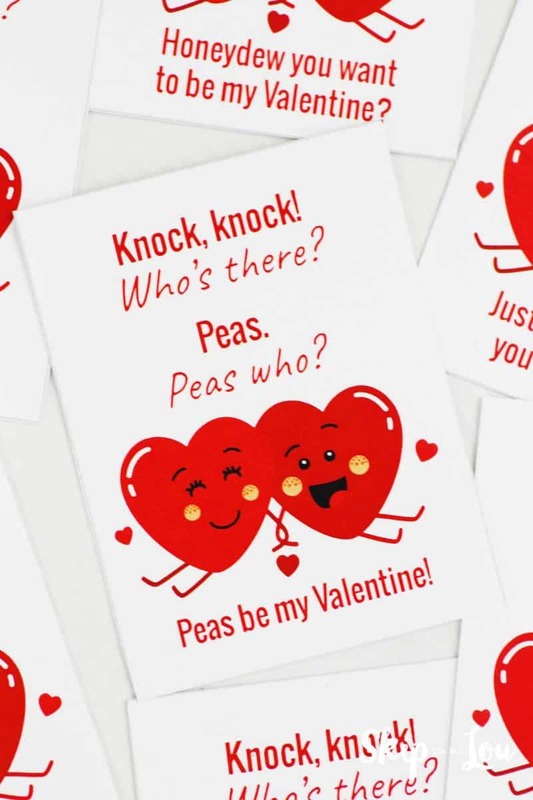 They are sure to crack up with these corny Valentines Day jokes! Why is lettuce the most loving vegetable? Because it’s all heart. What did one watermelon say to the other on Valentine’s Day? You’re one in a melon! What did the bat say to his girlfriend? You’re fun to hang around with. What do you call a very small valentine? A valentiny! What did the flame say to his friends after he fell in love? I found the perfect match! What did one squirrel say to the other squirrel on Valentine’s Day? I’m nuts about you! What did one bee say to the other bee on Valentine’s Day? Will you bee mine? What did the farmer give his wife on Valentine’s Day? Hogs and kisses! What did one pickle say to the other? You mean a great dill to me! Why is Valentine’s Day the best day for a celebration? Because you can party hearty. How can you tell the calendar is popular? It always has a lot of dates. What does a vampire call his sweetheart? His ghoul-friend. What did one oar say to the other oar? How about a little row-mance? Where do burgers take their Valentine’s Day dates to dance? To the meatball. What did the Valentine’s Day card say to the stamp? Stick with me and you’ll go places. What did the stamp say to the envelope on Valentine’s Day? I’m stuck on you. What do you call romance in a fish tank? Guppy love. Why do skunks celebrate Valentine’s Day? Because they’re scent-imental. What do you call two birds in love? Tweethearts. What kind of flower is the worst to get on Valentine’s Day? Cauliflower. What does a caveman give his wife on Valentine’s Day? Ughs and kisses. What did one octopus say to the other octopus? Can I hold your hand, hand, hand, hand, hand, hand, hand, hand? How did the phone propose? He gave her a ring. What did one cat say to the other cat on Valentine’s Day? You’re purr-fect for me. What do squirrels give for Valentine’s Day? Forget- me-nuts. What did the chocolate syrup say to the ice cream? I’m sweet on you. What did the one sheep say to the other sheep on Valentine’s Day? I love ewe. What did one sheep say to the other sheep on Valentine’s Day? I love you baaaaaaaaa…..ck. What did one owl say to the other owl on Valentine’s Day? Owl be yours! What did one light bulb say to the other? I love you a whole watt! We also love a good knock knock joke! How about you? At our house, we love funny jokes. These kids jokes are hilarious. In fact, we have holiday jokes for almost every holiday and more! 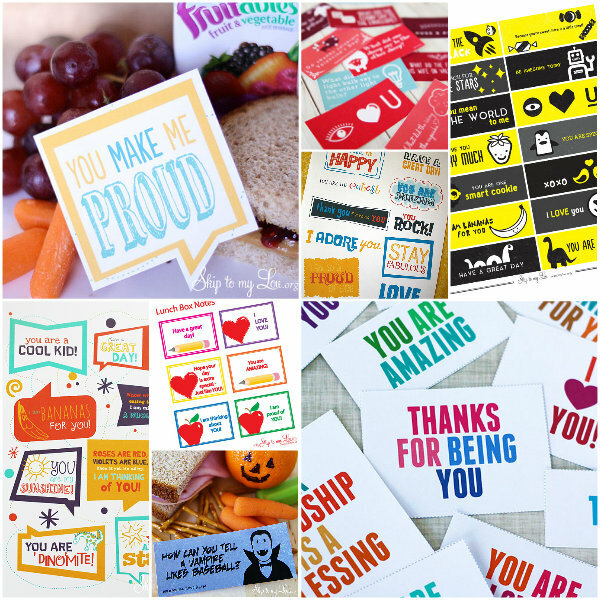 For more lunch box notes click on the image below to find all the free printables. These are great! I also like the butterfly valentine's. Thank you so much for posting.